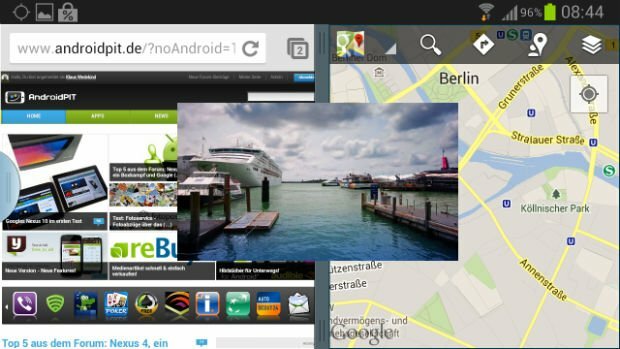 Android 4.1.2 for Galaxy S3 with Multi-Window Support! When the Jelly Bean update for the Galaxy S3 was first released, many were missing some of the features offered on the Galaxy Note 2. Thankfully, Samsung soon upgraded the Galaxy Note to 4.1.2. At XDA Developers, you can find a pre-release version of the build, which I have installed and tested. I especially like the new multi-window function, a real asset for any Galaxy S3 user. I downloaded the update via Sammobile and installed it on Friday night using Odin. So far, I haven't been able to find any bugs – amazing for an unofficial pre-release version of the software. 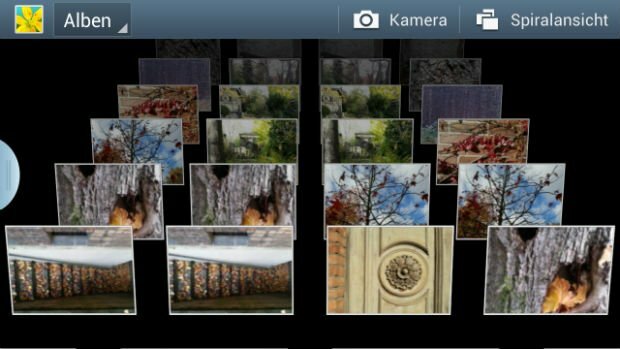 Besides the multi-window feature, Android 4.1.2 brings the look and feel of the Galaxy Note 2's picture gallery to the Galaxy S3. The 3D animations here look damn good. Another nifty new feature is called "Intelligent Rotation." This allows your front-facing camera to recognize when your phone is lying on its side and will not rotate the the screen from portrait to landscape (helpful for reading in bed). 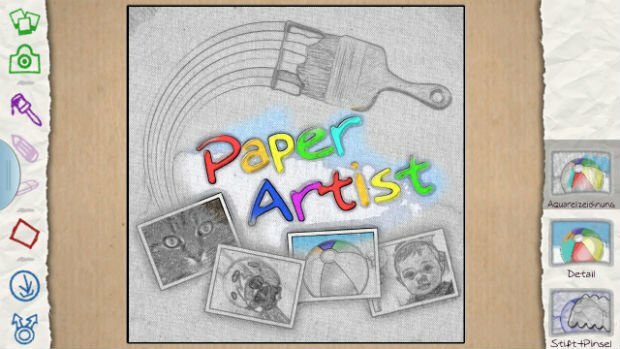 Also, the update includes the app "Paper Artist," which allows you to colorize photos or transform your favorite pics into artful sketches. But the biggest star in this update is the multi-window function, which allows you to run two apps on your Galaxy S3 side-by-side. This works particularly well in landscape mode, where the 4.8-inch screen is large enough to fit two programs. The easiest way to begin multi-windowing is by pressing and holding the back button. Then, on the left edge of the screen pops a bar with all the apps that support this feature. These include essential applications like your browser, Google Maps and GMail. Starting a second app divides your screen into two equal halves, but the sizes of the two windows are actually scalable. If you want, you can temporarily leave an app and the other – still opened – app will fill the whole screen again. Pressing the back button again restores the first set up. As I've written, although this is a Beta version, it seems to be quite stable. Nevertheless, anyone who wants to flash it should be aware that it is not official firmware yet. If you don't know how to flash, you should wait for Sammy's official update. Hey guys does anyone know if this will come to the Australian galaxy s3 4g, i9305T? This is why Samsung is the market leader. Multi windows and all TW features FTW! Thanks for this rom. Downloading very soon. Also, Can u suggest me some good custom roms of 4.1 or 4.2 with the download links for galaxy note Gt n7000. I'm bit confused for choosing in between them.